With Pirates of the Caribbean: Dead Men Tell No Tales looming on the horizon, ITM charts a course for fearsome pirate-themed destinations. 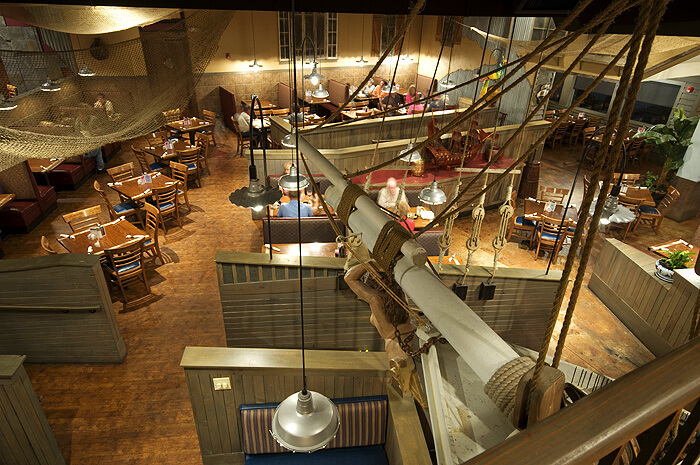 Privateer or pirates, the patrons patrolling these waters seek adventure and atmosphere for their dining excursions. 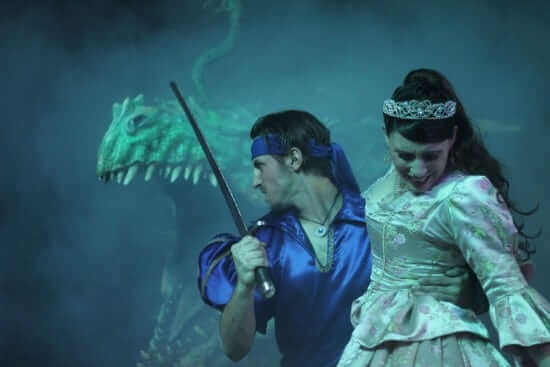 Starting in Central Florida, Orlando’s Pirates Dinner Adventure has been entertaining pirates young and old with their dinner show for over twenty years! After docking for appetizers in the lobby/preshow area, guests are ushered into a giant arena featuring a giant pirate ship ‘floating’ in the center. Around this galleon, guests are seated according to the color code for their pirate (red, green, blue, yellow. . .). 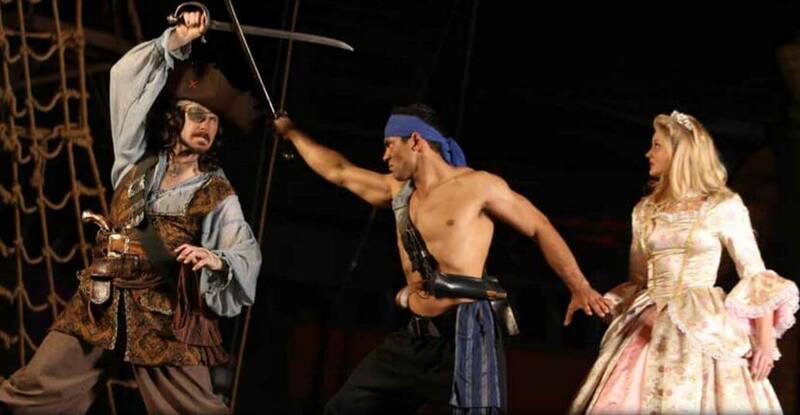 High seas adventures and acrobatic stunts play out on and above deck as dinner is served. Pirates Dinner Adventure has locations in both Orlando and Buena Park, California. Visit their website for details. 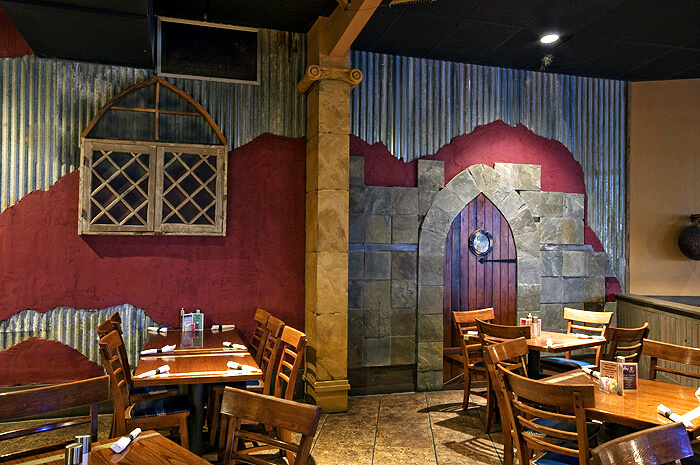 Pirates Landing, located in Elkin, North Carolina, opened in 2003 and features seafood and steak dinners and regular appearances by the pirate magician Captain Jim. 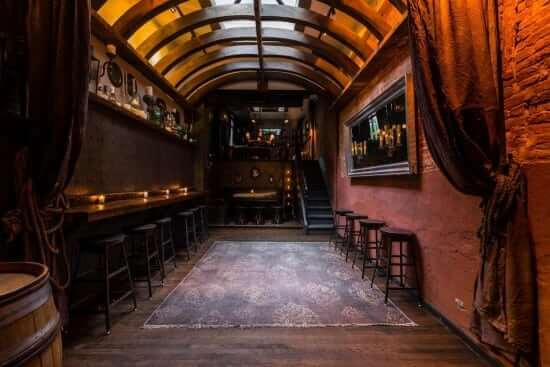 The restaurant boasts 11 “unique dining areas” and accommodates up to 320 guests for private events. Pirate-themed combination dinners round out a full menu (William the Kidd – flounder and shrimp; Black Bart – flounder, deviled crab, stuffed claim and shrimp are a couple examples). Pirates Landing is located just off I-77 (exit 85) in Elkin. Visit their website for details. 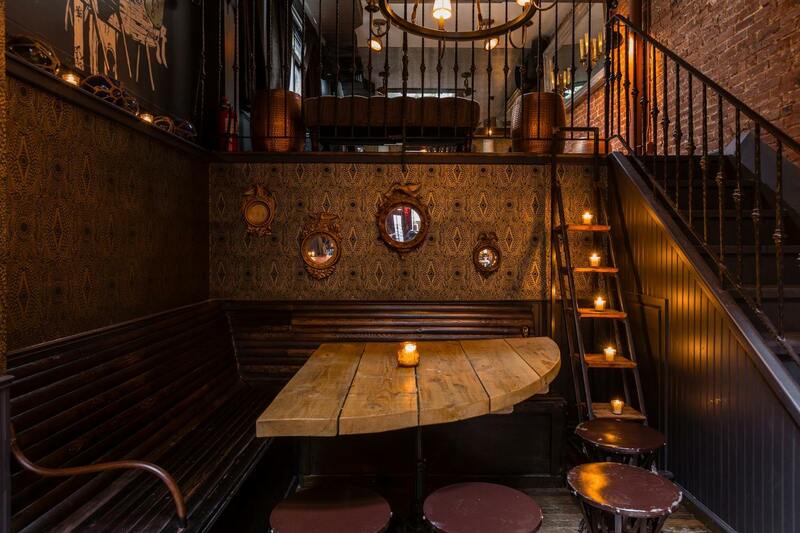 The Folly in Manhattan, New York is a small, cozy nautical-themed bar and gastropub. Not quite the same high adventure of some of the other swashbuckling selections above, but even pirates have down time and this quaint bar seems to have plenty of rum. Located at 92 West Houston in New York, New York, the Folly is open daily from noon to 4am. Visit their website for more information. 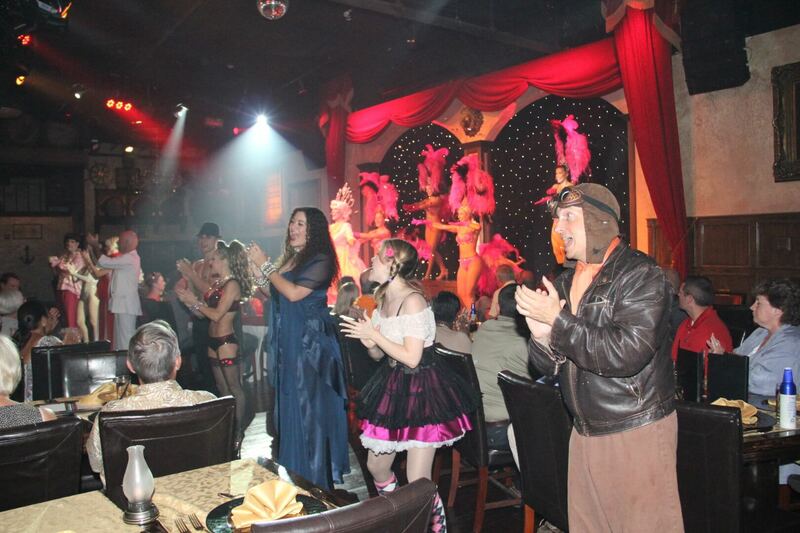 Coming full circle back to Orlando, we make our final port of call at Treasure Tavern. Madame Gretta, the new tavern proprietor (she inherited the Tavern under rather dubious circumstances), takes you on an evening of non-stop amusement featuring Rob and Grift, a hilarious pick pocket duo that have taken refuge in the Tavern; the beautiful dancing rum girls, or “Jewels,” as Gretta calls them: Amethyst, Jade, Amber, Sapphire, and Ruby, and the unfathomable Jinx, a rather “special” Jewel. – Treasure Tavern website. Part burlesque, part variety and part cabaret, Treasure Tavern features excellent dining options with a fiercely fun and entertaining show. Details can be found at the Treasure Tavern website. As Captain Jack Sparrow readies for his return to the theaters with another Pirates of the Caribbean adventure installment on May 26, 2017, potential pirates now have a few options to get into the swashbuckling spirit (unless of course scrubbing the deck and prying off the barnacles are preferred). 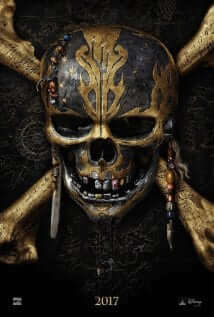 Of course, stay with ITM for any and all news on the new Pirates of the Caribbean movie.